We’re taking coordinating crafts to a whole new level with our carefully designed collections inspired by the latest trends and themes. 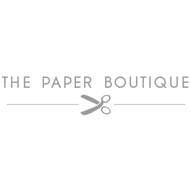 Our collections include paper pads, paper kits, inserts, sentiments pads, panel pads, card packs and more and are perfect for any type of craft, from cardmaking and papercraft to decoupage and mixed media creations. Why not try the One Sheet Wonder challenge, where you simply cut a 12 x 12” piece of paper and follow your chosen diagram to create multiple cards from a single sheet.